Man's concern about God is both a question and a quest. We seek to know with certainty that God is real; we seek also to draw near to God, to know that He is really for us. My aim in this work is to re-think this two-fold concern and to do so with Gabriel Marcel. Throughout the work I have combined the presentation of Marcel's views with a critical examination of his thought, and in the spirit in which Marcel meets his own predecessors and contemporaries I have held myself free to accept, to amend or to reject what he has written. 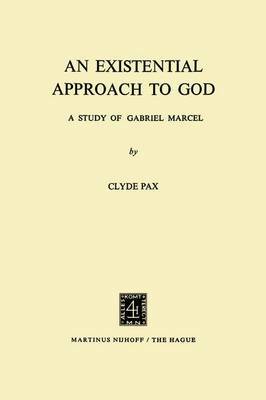 Thus the focus of the work is only incidentally on the writings of Marcel; the direct focus, as for Marcel, is on man's seeking to know and to draw near to God. The effort to re-think that dimension of our experience which we designate religious cannot begin apart from a critical consideration of what we mean by knowledge and certainty. What will count as an answer to the question of whether God is real and whether He is really for us? If, as the believer maintains, God is the answer to man - an answer wholly unlike every other answer - then the method of searching for this answer must be different from other methods of searching. Furthermore, even for the believer, God remains the hidden God, Deus absconditus, and at best we see through a glass darkly.